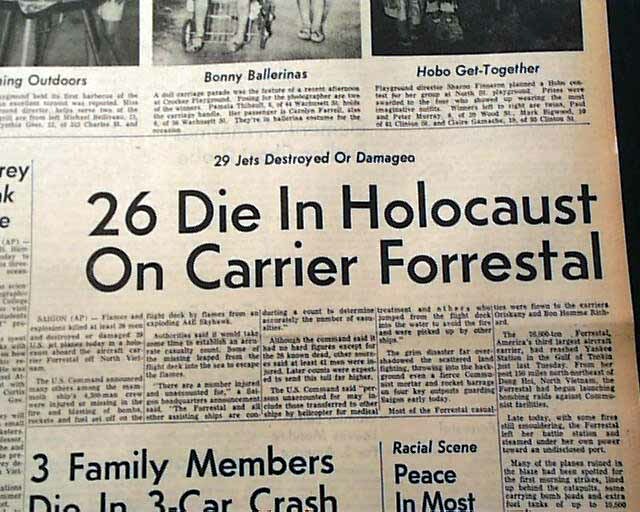 This 12 page newspaper has a five column headline on the front page: "26 Die In Holocaust On Carrier Forrestal" with caption: "29 Jets Destroyed Or Damaged"
Tells of the USS Forrestal fire disaster off of North Vietnam. Other news of the day. Minor spine wear, otherwise in good condition. 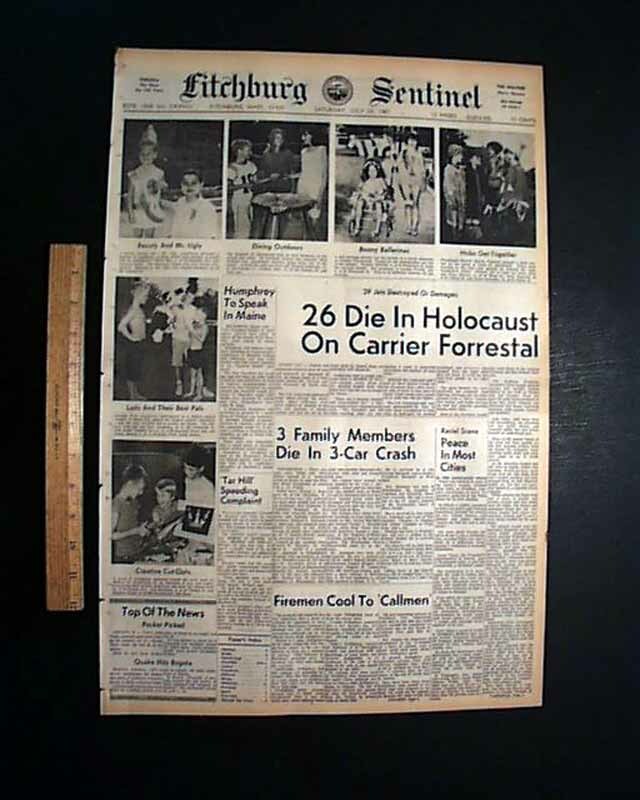 wikipedia notes: In July 1967, Forrestal departed Norfolk for duty in waters off Vietnam. In the Gulf of Tonkin on 29 July, Forrestal had been launching aircraft from her flight deck. 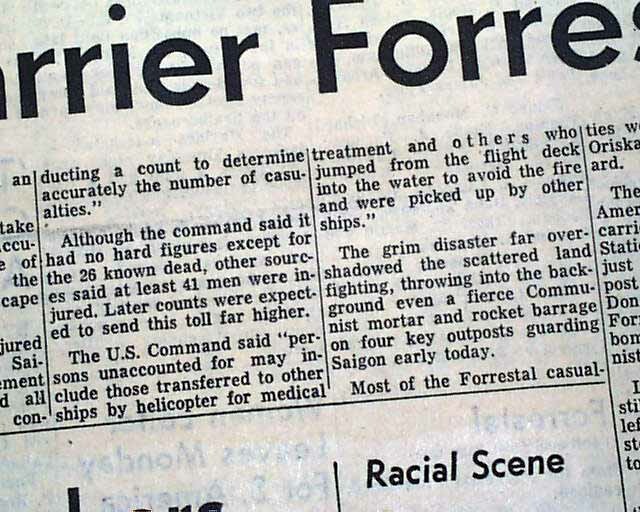 For four days, the planes of Attack Carrier Air Wing 17 flew about 150 missions against targets in North Vietnam from the ship. 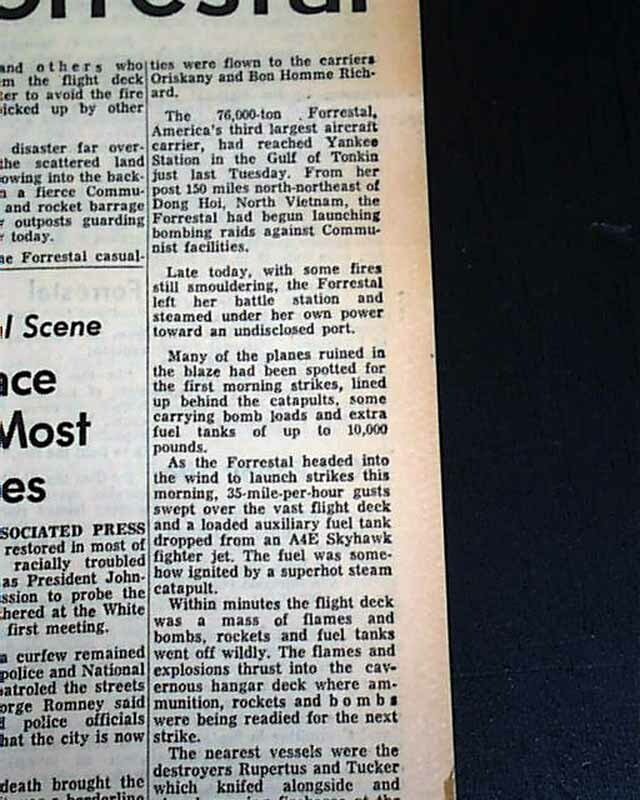 On 29 July 1967, during preparation for another strike, a Zuni rocket misfired, knocking off an external tank on another aircraft. 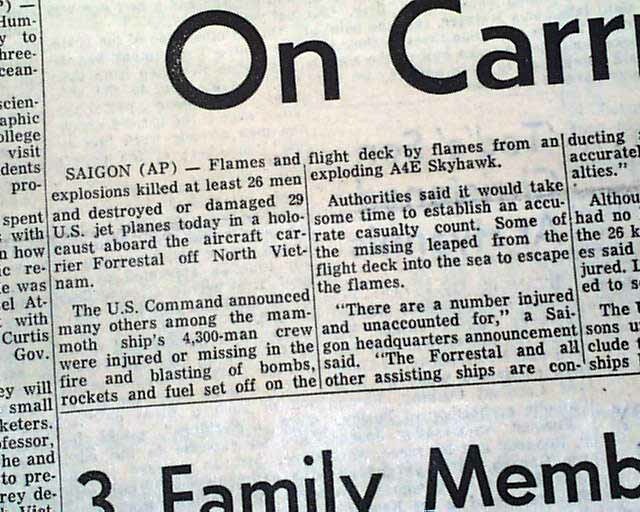 Fuel from the leaking tank caught fire creating a serious conflagration that burned for hours, killing 134, injuring 161, destroying 21 aircraft and costing the Navy $72 million.